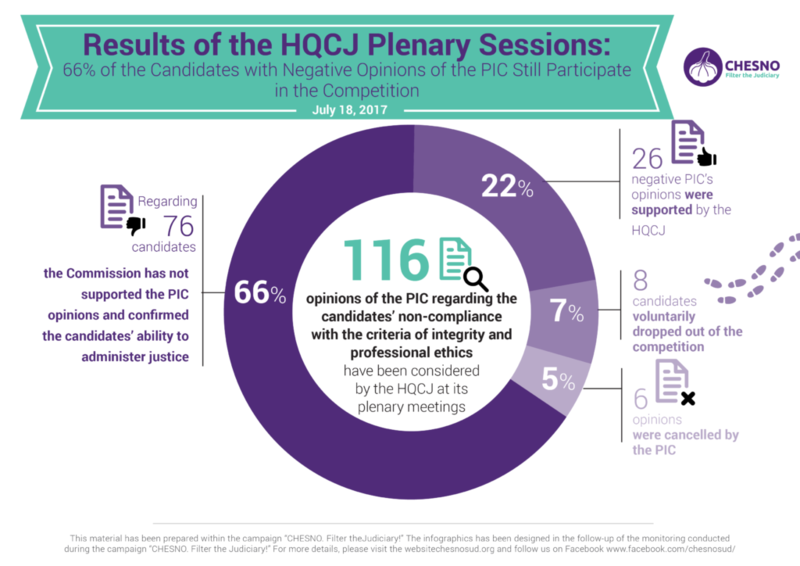 Results of the Plenary Sessions of the High Qualification Commission of Judges: 66% of the Candidates with Negative Opinions of the Public Integrity Council Still Participate in the Competition – ЧЕСНО. Фільтруй суд! How Candidates to the Supreme Court will be Assessed? How will Fair Practices of the Candidates to the Supreme Court be Assessed?